A world-class botanical library, the RSABG Library specializes in systematic, floristic and evolutionary botany and the botany, horticulture, natural history and ethnobotany of California. It provides library support services for the staff and students of RSABG, members and volunteers of the organization, members of The Claremont Colleges and the general public. Founder Susanna Bixby Bryant’s plan for her botanic garden included a research-quality library. She built a considerable personal collection in her lifetime and that collection continues to be the foundation of the library today. Some of her personal books can still be found in the library. The library contains nearly 50,000 bound volumes and 750 current print and electronic journals and other periodicals related to the mission of RSABG. The collection is designed for education and research purposes and is geared towards graduate students and advanced researchers. It is composed of books, periodicals, reprints, microforms, pamphlets, article reprints and digital resources. The archive at Rancho Santa Ana Botanic Garden houses 242 linear feet of institutional records, original manuscripts, botanical field notes, original botanical illustrations, glass slides, and photographs. Notable collections include Susanna Bixby Bryant’s original Collection, the Clara Mason Fox Collection, the Marcus Jones Materials, and the Samuel Parish Collection. The latter two were both local botanists in the late 19th century. Appointments should be made at least one day in advance. The collections are divided into two major sections: the general collection and special collections. 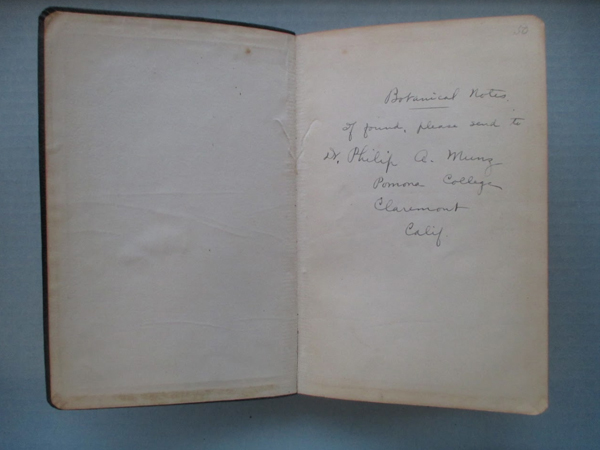 The special collection includes rare books and archival materials, while the general collection includes volumes of monographs, periodicals and reference works. From the beginning, Susanna Bixby Bryant envisioned an extensive botanic collection. Writing to Willis Linn Jepson for advice in late 1926, she declared, “The ambition I have for the native garden at Rancho Santa Ana is to make it the best and most complete botanical garden which we can develop for our California trees, shrubs and flowers.” Jepson responded a few days later, “Of all the countries in the world, no other at the present time offers so much promise for a botanical garden as California.” Currently, many of Mrs. Bryant's books, her correspondence and papers are housed in the archives and will be available for researchers in the near future. 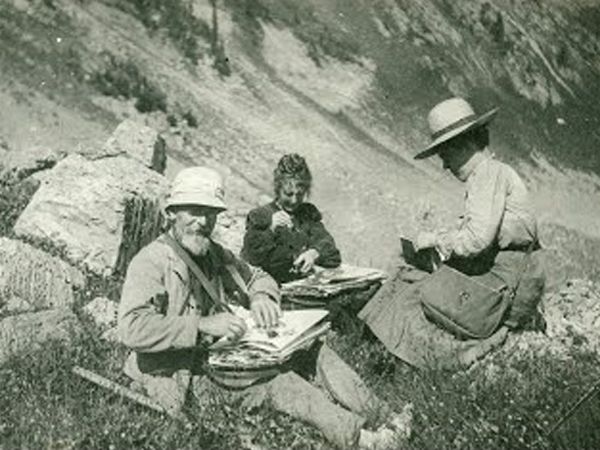 Among the most prominent botanists of the American West working from the late 19th century through to the early 20th century, Marcus Jones’ plant collections, writings, glass plate photographs and other items of historical and botanical interest are held in the extensive herbarium and other archival collections at RSABG. Parish (1838-1928) was a noted amateur southern California botanist. Although he had little formal training in botany, Parish developed an interest in the flora of the San Bernardino region which was relatively uncataloged at the time. His plant collections (including many new species named for Parish) led to correspondence and collecting trips with noted botanists. Parish's herbarium was sold to Stanford University in 1917 and his library was sold to Pomona College in 1920. Samuel and Eliza Parish moved to Berkeley at this point where Samuel was appointed Honorary Curator in the University Herbarium. Their house, as well as Parish's unpublished manuscripts and papers, was lost in the Berkeley fire of September 17, 1923. His personal library collection is housed in special collections. Ms. Fox was born in Ohio in 1873 and lived in Orange County until her death in 1959. She found artistic inspiration in Silverado Canyon, Santiago Canyon and the Santa Ana Mountains. Many of her impressive paintings of California flora have meticulous, technical descriptions of foliage density, height of shrubs and textures of fruits. Special Collections holds 2,200 rare herbals, historic scientific literature, and illustrated botanical books. 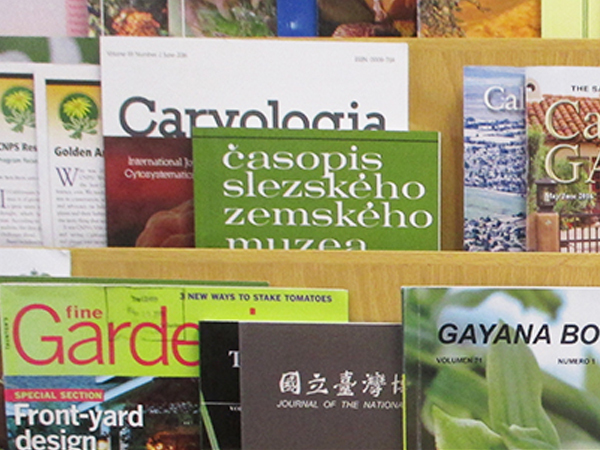 The library continually receives and stocks significant periodicals and publications from around the world. These are all available to the public. Susanna Bixby Bryant established Rancho Santa Ana Botanic Garden (RSABG) in 1927. In setting aside 200 acres of her family’s Orange County ranch for the garden, Bixby Bryant provided a location for the research, study and appreciation of native California flora. RSABG became an affiliated institution of The Claremont Colleges in 1951 when the Garden moved to its present location in Claremont, 35 miles east of Los Angeles. The Garden, an independent organization, became the home of Claremont Graduate University’s Botany Program. As a research organization and institution of higher education, RSABG is involved with research in systematic and evolutionary botany (science fields that sort out the relationships and evolutionary history of plants). Encouraging the use of California native plants in home landscapes is a major aspect of the Garden’s objective and to further this goal, we offer horticulture and community education programs to the public. The Garden’s grounds include many areas designed to illustrate the ways in which native plants can be used to achieve home garden and landscape design projects. More than half of RSABG’s 86 acres is devoted to California plant communities—plantings designed to depict native plant habitats. The emphasis to display plants in their native habitats was established by Bixby Bryant in the early years of the Garden. In 2015, the RSABG library was awarded a National Endowment for the Humanities, Preservation Assistance Grant for Smaller Institutions. This grant is dedicated to improving environmental conditions and care for the archives and special collections, allowing staff to purchase much needed supplies such as an environmental monitoring system, archival-quality shelving units, and archival supplies to protect materials in the Garden's special collections and archives.